Tesla’s vehicle sales in China sank 70% last month from a year ago, according to China Passenger Car Association. Data from the industry body showed Tesla sold just 211 cars in the world’s largest auto market in October. Tesla is calling this data "wildly inaccurate". Tesla, which imports all the cars it sells in China, said in October that tariff hikes on auto imports were hammering its sales there. This automakmer pointed out that China has put an import tariff of 40 percent on Tesla vehicles, compared with 15 percent for other vehicles imported to China. Tesla said it costs 55 percent to 60 percent more to make its vehicles than “the exact same car” made by Chinese producers. Tesla shares signaled an opening price decline of 1.7 percent. The way Tesla imports car in to China it's hard to tell with one months rumoured figures, they send out batches so one month can look very low whilst another is very high. As of writing this the share price has gone back up. The new factory should be up and producing cars in China tariff free next year. Maybe they have a hard time in China selling just about 5,000 cars per year, so what? There is the US where Tesla sold about 17,000 Model 3's in October, decimating its competition. Than there's Europe where Tesla will start selling Model 3 in the first quarter next year. Anyone thinking this company is on the verge of bankruptcy is looking in the rear view mirror. 120'000 EV's were sold in China in October. With only 211 cars sold Tesla has only 0,017% of the monthly Chinese EV market share. This is not really surprising. Tesla cars are expensive high tech luxury cars and if you add the 40% tariff only the very rich Chinese can afford to buy one. However this will improve once the new Chinese Tesla factory starts to produce locally. The Chinese EV market is dominated by Chinese brands. While Tesla was selling only 211 cars in October, 20'000 BAIC EC-Series were sold. 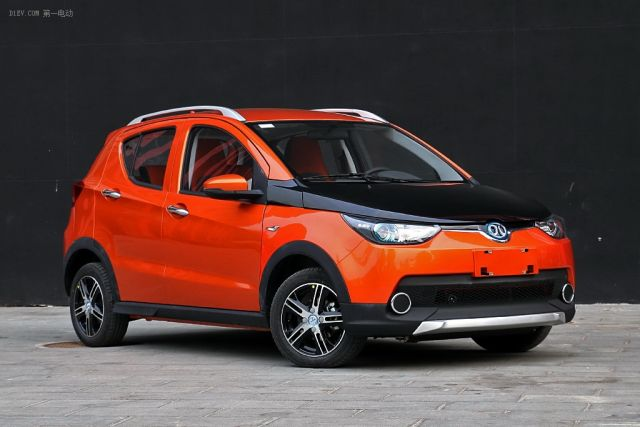 The BAIC EC-Series is currently the best-selling EV model in China. It costs around $22'000 with a range of 200 km. Not really the same category as a Tesla but way cheaper and quite well adapted to a urban context. Not sure if this report is correct. Maybe my math is wrong, but if there is a drop of sale of 70% to 211 sold cars in 2018 that implies that Tesla sold about 703 Model S and X in October last year. But Tesla 2017 total sale in China was $2 billion at average price of $125,000 (25% tariff) comes to 16,000 cars per year or about 1,334 per month. Well isn't she a looker.. no wonder they have stopped buying Jaguars off us.